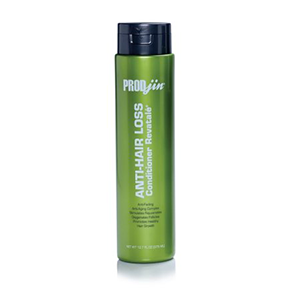 Prodjin Anti-Hair loss Follicle Stimulating Serum 3.38 oz. 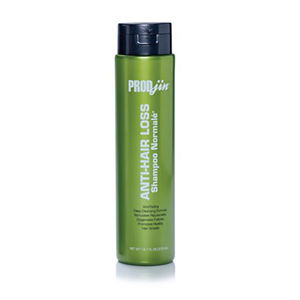 Prodjin Anti-Hair Loss product line will not only prevent hair loss, it will also re-grow your hair. This exclusive proprietary formula improves circulation in the scalp area, utilizing a newly discovered complex of capsicum and rosemary extracts to significantly increase blood supply to hair follicles. The special ingredients in Prodjin is an all-natural complex of effective DHT blockers and circulation enhancers, which help to dilate the capillaries. 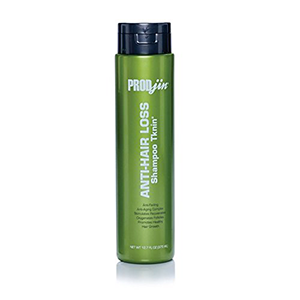 Along with high concentrations of saw palmetto and nettles extract, Prodjin also bonds with DHT and prevents it from locking into receptor sites that block hair growth. Once DHT levels are reduced, the increased circulation ensures follicles receive sufficient oxygen and a nutrient from blood supply to begin re-growth. After two years of research and product development Shiva laboratory has finally been able to produce an all-natural hair loss prevention system with ingredients proven to help hair growth and effectively stop hair loss due to hormonal change, chemotherapy, DHT, and hard water. 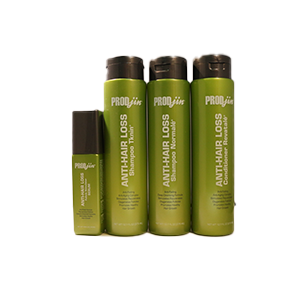 Prodjin is developed using a stringent 5-process water purification system, the Prodjin system is free of the harsh chemicals and preservatives found in other lines, and instead utilizes natural ingredients that leave the hair healthier and shinier while promoting hair growth. Skin care professionals MUST register with License number and/or FED ID Tax to have access to the Professional Areas of this site.